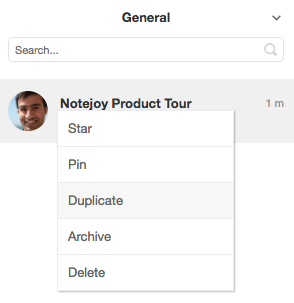 You can now easily duplicate a note just by right-clicking on it and selecting duplicate. This becomes super useful when you start to use notes as templates. Maybe it's an OKR template, a product spec template, or go-to-market campaign template. Duplicating notes enables you to easily create a template and then create new copies of it in seconds!